It was appropriate, and it worked wonders for the mood, but it did nothing good for Cedar’s hair. She had her makeup artist come over early in the morning, and helped her with a face that said “I’m mourning the loss of a person very dear to me, but I look fabulous while doing it”. Her outfit was going to be reported in every major newspaper in the country, because that’s who she was. And so she dressed appropriately. And had memorized the eulogy she was going to give, which was mostly lies. But nobody really cared. The funeral wasn’t actually a place for people to mourn the death of Harold Feingold. The funeral was a place for people to reassure themselves of their importance and their place in society. Not just anyone was invited to Harold Feingold’s funeral, because not everyone was worthy. The journalists had a separate corded area to watch and observe but to never forget for even a second that they were never going to be good enough to actually be invited to anything like this. Cedar had made sure only the reporters she approved of were coming to the funeral, and the rest of the paparazzi were located behind a line of the best security guards money could get. It wasn’t just a funeral. It was an event. And even though nobody attending the funeral would ever admit to it, going to Harold Feingold’s funeral was the same as going to a showing at the Gallery. It wasn’t for the reason they said they were going, and even if it was something they normally wouldn’t have ever done, they were more than happy to go. Get dressed in an outfit that people wouldn’t forget, mingle with the right people, and glory in where you were in life. If you had to buy an extraordinarily expensive piece of art or cry a few tears, well, that was the price of admission for these kinds of things. The casket was there when Cedar made her way into the church, followed by the insistent flashes of the paparazzi, silently clamoring for the best angle of her. Cedar Reynolds was a commodity, and even the paparazzi knew that. So, she wasn’t an actress or a singer, or anything else like that, and even though she wasn’t a Rockefeller or Astor or Thames, she was Cedar Reynolds, and everything she touched turned to gold. They all knew she wasn’t to be trifled with, and none of them had the guts to even try. They knew what happened to those who did, and none of them wanted to go down that road. 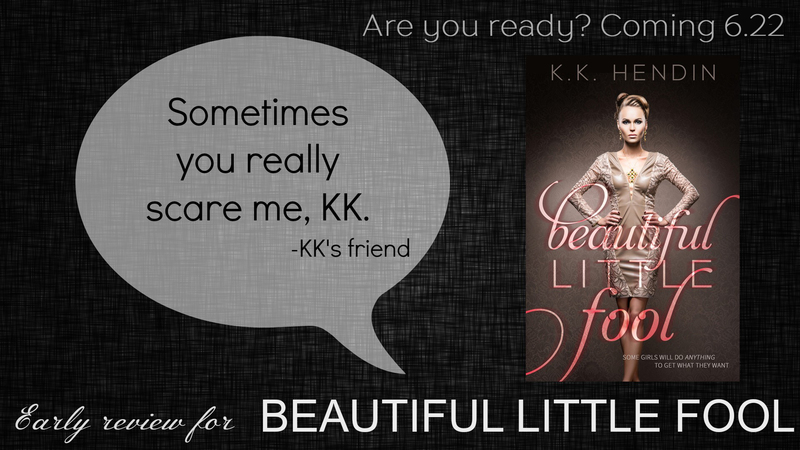 You can join KK’s “Beautiful Little Street Team” now and immediately read chapter 1 from the book. Plus, there are contests and giveaways each week! 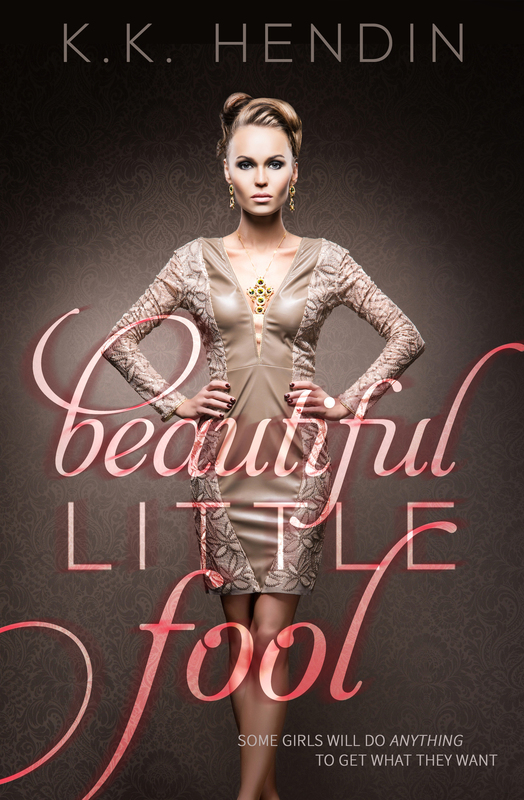 Join, chat with us, and get an inside look at Beautiful Little Fool! 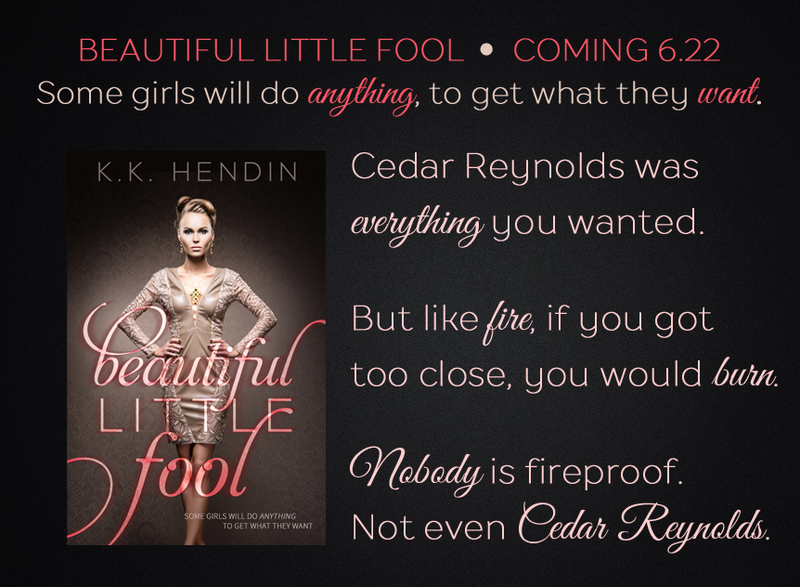 ABOUT THE AUTHOR:KK Hendin’s real life ambition is to become a pink fluffy unicorn who dances with rainbows. But the schooling for that is all sorts of complicated, so until that gets sorted out, she’ll just write. Preferably things with angst and love. And things that require chocolate. She’s the author of the NA contemporaries HEART BREATHS and ONLY THE GOOD DIE YOUNG. KK spends way too much time on Twitter (where she can be found as @kkhendin), and rambles on occasion over atwww.kkhendinwrites.blogspot.com.